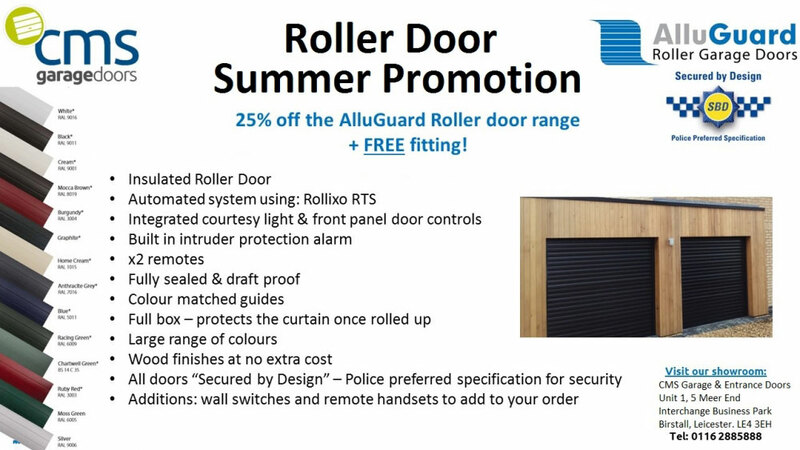 Summer offer – 25% off & FREE fitting – Alluguard Roller Doors. With a large range of colours to choose from, Alluguard offer a great garage door that is secure, looks good, compact and keeps in the heat. The roller door is a great addition to any home and with the vast benefits you get from it – it’s definitely worth investing in a new door. No more drafts, leaves or vermin entering your garage! Visit our new showroom in Birstall, Leicester where we have one on display that is working so you can see it. Any enquiries – feel free to pop in to see us, call or e-mail us.